I recently shared a document put together by Passle which included 10 steps to become a LinkedIn hero. I also recently created a post with 3 steps to transform your personal social media profiles into professional ones. Today I'm sharing 10 steps to get your personal Twitter profile up to scratch so that you can start using it to connect with other professionals. 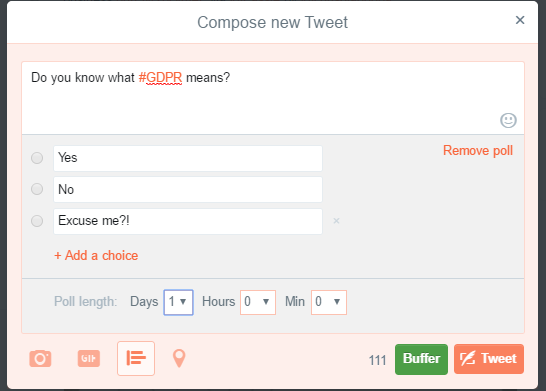 When creating a tweet, you can also add a poll - this can be a great way to engage your followers, or run an informal survey. Simply click the poll symbol and fill the answers out as with the example below. You can also choose how long you want it to run for. When you're using Twitter on your phone, you have the option of going live using Periscope. This is particularly worth doing if you are at an event, or want to give people a glimpse into the lighter side of your professional life. 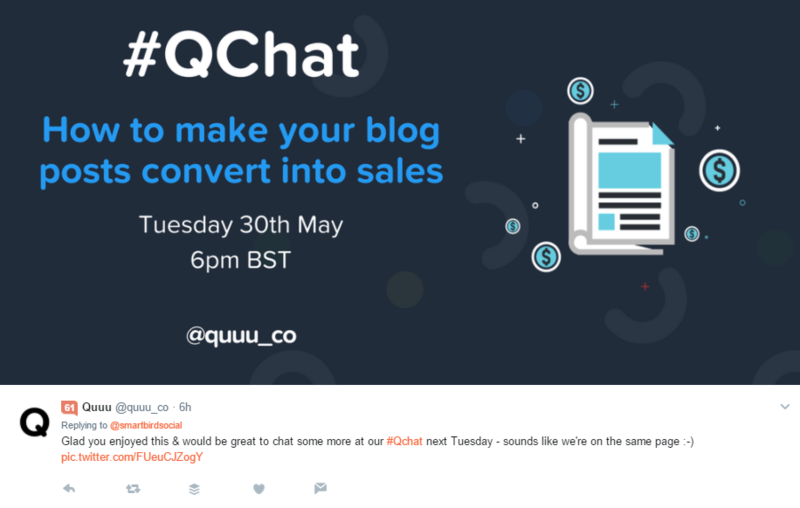 If you want to get a taste of how it works, our friends at Quuu are hosting a chat on how to make your blog posts convert into sales next Tuesday. Perhaps your business could also create a Twitter chat in the future?